May news na po ba kung magrelease sila ng patch for the framerate issue? Guys TEXT SPEAK VIOLATION demo ba pwedeng idownload kahit us account gamit? louie_03 wrote: May news na po ba kung magrelease sila ng patch for the framerate issue? May update ni-release within 2-3 days of release with no known bug fixes, Konami talaga. But don't really expect 50-60 fps on this. Magiging 60fps dun sa madilim na boss fight. lol. Update to improve frame rate and visuals. A patch for the PlayStation 3 version of Zone of the Enders HD Collection is in development at Kojima Productions, the latest Hideradio broadcast reveals. The free patch will improve the game’s frame rate and make it look better. A new disc version of the game will be released with the patch in Japan, as well. Ngek. Sana para dun sa 2 kasi tapos ko na yung 1. Konami said they were working on a patch to improve Zone of the Enders HD Collection and it’s scheduled to come out on July 25. The patch will fix performance issues, but Konami doesn’t detail any specific changes. 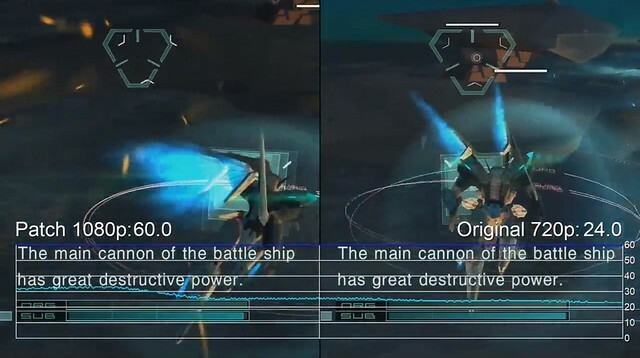 The official site says the Zone of the Enders HD Collection patch is specifically for the PlayStation 3 version. It’s unclear if the Xbox 360 release will get an update or not. Wala naman ako napansing kakaiba sa ZoE1. Sa 2 sana yung patch. Hindi ko pa masyado nalalaro ito dahil sa backlog ko ng games kaya hindi ko pa din napapansin yung frame rate. By the time na lumabas yung patch eh siguro may time na akong laruin ito. The 594 megabyte update, according to a NeoGAF user who downloaded it, fixes frame rate issues, adds post processing anti-aliasing, and renders particle effects at full resolution. Ako din! Ito target ko na next purchase ko! time to load this game again..ZoE 1 naman! Great Empires are destroyed from the inside..